If birding is an unfamiliar area to you, or you are unaware of those with great birding passion, Terry Townshend is a great expert to meet. 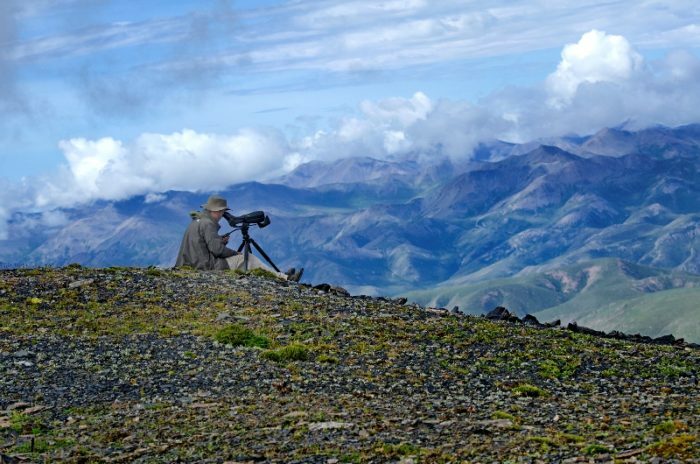 Originally from the UK, Beijing based Townshend is a world renowned ornithologist who has gained international media coverage and scholarly recognition. He has given talks in numerous schools, either international schools or local ones in Beijing, on the Beijing Cuckoo Project his team is working on. BeijingKids interviewed him on birding in general and the project itself. 1. What initially brought you to the world of birding? I started to watch birds when I was 4 years old, beginning in my family garden in Norfolk, England. I asked my parents for the names of the different birds, but they didn’t know so they bought me a book. I taught myself from there. 2. What is your educational background? And your job? I studied environmental economics at university but I have been working on environmental law for 10 years, specializing in climate change. I am also a Director of EcoAction, a Chinese organisation focusing on environmental education and sustainable ecotourism, a freelance consultant on wildlife conservation and an independent consultant on wildlife conservation. 3. How many birds have you personally seen so far? I don’t know how many I have seen in the world! Probably around 3,000. In Beijing I have seen 395 species, including several “first records” for the capital, for example a European Tree Pipit in the UK Ambassador’s garden. 4. What have you learned from observing birds? I love to watch how birds interact with the environment; how they behave, what they sound like, what they look like (what differentiates one species from another), and the role they play in the ecosystem. I have learned that each species has found a unique way to survive and reproduce. Many undertake breathtaking, perilous journeys, travelling thousands of kilometers from their breeding grounds to their wintering grounds and back again thanks to modern technology such as tracking devices, we are beginning to discover many more amazing facts about the lives of birds and the incredible journeys they take. 5. Birding is a very narrow niche. However, you seem to have achieved a wide range of accomplishments, including book writing, lecturing, directorship, and ambassadorship. What do you see as the relationship or connections between birding and all these achievements? Birds are amazing and birding is my passion. Passion is a great driver. It makes us work hard for what we believe in. I have been lucky to be able to spend time doing what I love and sharing that passion with others through writing and lecturing, encouraging, and supporting young people to learn more about our environment and why we should protect it. Passion can help us achieve great things. 6. Many young people (and their parents) would like to choose a “broad” major that will give them more opportunities for stable, high-earning work. What’s your point of view on choosing a study/major? I strongly believe that people should study subjects they are passionate about. I think people are far more likely to succeed and achieve great things if they are passionate about what they do. For many professions, the subject of study is not so important. In many cases it’s possible to be successful in jobs that are unrelated to the study subject. So my advice would be to focus on what you are passionate about. Nothing is fixed in stone, so it’s always possible to study a different subject later if you wish. 7. You have been leading many education based events for schools. What are students’ responses to birding? 8. What are three achievements you are most proud of? That’s a difficult question to answer. My three greatest career highlights are:1) Presenting the results of a study on climate change in the US Senate in March 2014; 2) Being invited to become a member of the Global Advisory Board of BirdLife International; 3) Coordinating the citizen science projects on the Beijing Swift and Beijing Cuckoo. However, I get most enjoyment and fulfillment from introducing people to birding. Seeing the look on someone’s face when they see a waxwing or a woodpecker for the first time is hugely rewarding. 9. Could you please describe a typical day in your life? There is no typical day! At the moment I am focused on following, and reporting about, the progress of the satellite-tagged Beijing Cuckoos, writing a report for the Chinese government on climate change law, developing a class for the International School of Beijing on the role of birds in the ecosystem and researching best practice at international airports to tackle the risk of birdstrikes. If I have time, I like to spend an hour or two on my ‘local patch’, an area of scrub close to my apartment where I have so far seen 128 different species of bird. 10. What’s your view on the current birding situation in China, and what is a long-term aspiration of yours? Birding in China is a relatively small activity but increasing fast. One comparison I use is that, in the UK we have 60 million people and 1.2million are members of the national bird watching society – the Royal Society for the Protection of Birds (RSPB). In Beijing there are around 20 million people, so if there were the equivalent number of birders, the Beijing Bird watching Society would have around 400,000 members. They have 400 members! The figure of 400 was only 300 a year ago, so the membership is increasing fast. There is huge potential for growth. I am encouraged by the number of young people in China who are interested in birding. China has incredible biodiversity, including many birds not found anywhere else in the world. I believe this should be a sense of national pride. These birds are part of China’s natural heritage and deserve the same protection as man made heritage such as the Great Wall and the Terracotta Army. 11. Why should young people learn about birding? It’s fun! And birds are brilliant. Who cannot be impressed by seeing a magnificent Golden Eagle soaring in the mountains or a Swift hurtling around Yonghegong Temple, especially when you know that Swift has traveled to southern Africa and has returned to exactly the same place without a map, compass, passport or visa. And when one begins to learn more about these birds, it opens up a world of discovery. The natural world is the greatest show on Earth and birding is your free ticket! 12. How can young students take part in your Beijing Cuckoo project? In May 2016 we fitted satellite tags to five Beijing Cuckoos. They were named by local schools and the students are following their progress on a special webpage here. Anyone can access this page and the maps are updated daily, following the incredible journeys of these birds. Two of them – “Flappy” and “Skybomb” are now in Africa having flown more than 10,000km from Beijing. Another is in India, almost certainly about to cross the Indian Ocean to follow the others to Africa. These are incredible journeys and, before this project, scientists didn’t know where cuckoos in Beijing went for the winter or how they got there. So the project is combining cutting edge science with public engagement. We are so pleased that the project has received a lot of mainstream media attention, including the New York Times and the Beijing Science and Technology Daily, reaching many thousands of people who wouldn’t ordinarily read about birds. We plan to fit tags to more cuckoos in 2017 and, if Beijing schools are interested, they can contact me to ‘sponsor’ a cuckoo which means they can choose a name for a cuckoo and follow it through its migration cycle. The Beijing Cuckoo Project is a collaboration between the Beijing Wildlife Rescue and Rehabilitation Centre (BWRRC), China Birdwatching Society (CBS), the British Trust for Ornithology (BTO) and Birding Beijing. These organizations work to catch and fit satellite tags on Eurasian Cuckoos (Cuculus canorus) in Beijing in May 2016. Scientists have deployed ultra-lightweight satellite tags onto 5 cuckoos in the Beijing area. Photos provided by Terry Townshend.